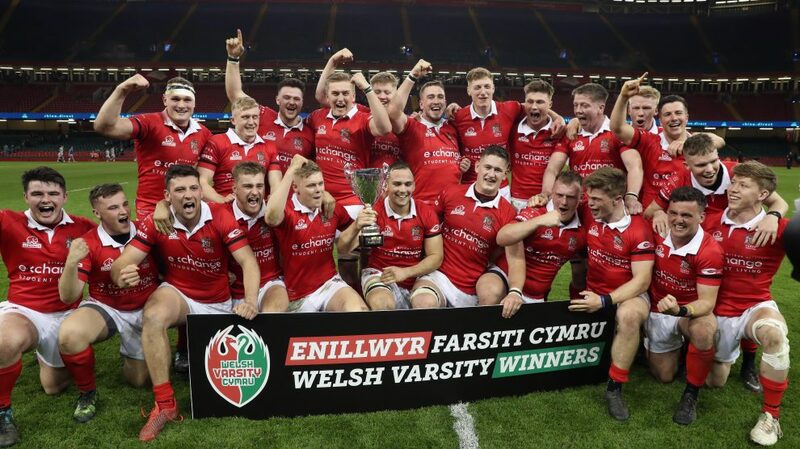 Cardiff University’s Men’s 1st XV scored 11 tries as they stormed to an emphatic win over Varsity rivals Swansea at the Principality Stadium. 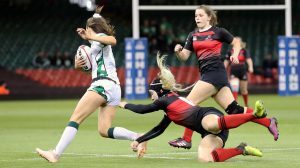 After Team Cardiff had earlier retained the Varsity Shield, many home fans were hoping to see the day capped with a win in the final event, but few would have expected the magnitude of what was to follow. Prior to kick-off, there was speculation surrounding the quality of the visiting side as, with their regular first team unable to reschedule their crucial BUCS Super Rugby play-off final against Nottingham Trent, Swansea were forced into fielding what they described as a “Barbarians style” team to compete for the Varsity Cup. 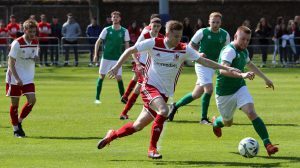 Whilst many believed that this would lead to a lopsided clash against an effective second-string side, however, the inclusion of regional academy brought a degree of uncertainty to proceedings. Nevertheless, right from the whistle, the sheer gulf in quality between the two teams was clearly evident, as, after James Davies slotted a penalty for Cardiff’s first points of the evening, the hosts crossed for their opening try with just five minutes on the clock. An aimless kick downfield from Swansea was gratefully scooped up by Owen Davies who, surging forward, carved through the opposition defence with a cute little dink, before comfortably gathering the ball and winning the race to the line to make it 8-0, with his namesake James adding the extras. With the wind in their sails, Cardiff were attacking with intent, and soon delivered a stunning move deep into the opposition 22. Drawing his man expertly, James Davies did well pop outside to Marcus Ramage who, in turn, burst through the Swansea defensive line and found Owen Williams in acres of space on the left wing to touch down for his side’s second try. Though stunned by a magnificent opening 10 minutes from the hosts, Swansea began to settle, and, for a few moments at least, stemmed the flow of points, despite sustained Cardiff pressure in their half. Minutes later, however, Williams was in again, as James Davies floated an inviting ball over the Swansea back line, who were slow to react, and the full back did well to collect and ride a challenge to make it 22-0 after 16 minutes. Cardiff soon grabbed their fourth, as an electrifying burst down the right wing from Rhodri Wall saw him dot down in the corner, whilst Davies’ reliable right boot propelled Cardiff into an unassailable lead. By now, Cardiff were oozing confidence going forward, and their slick, quick passing was causing a real headache for a comparatively lethargic Swansea side, as they shifted the ball through the hands with devastating efficiency. Perhaps inevitably, therefore, it wasn’t long until the wingers got in on the act, with Ramage and George Thomas both breaking free to cross the whitewash, leaving Swansea crying out for the half time whistle. With four changes made at the break, Swansea looked more assured in the opening exchanges of the second period, forcing their way briefly in to the Cardiff 22, but ultimately could not find their way through the big red wall that met them. Despite a more promising start, Swansea were soon undone again by sloppy mistakes, as a limp clearance was charged down by Charlie Dyde just inside their own half, with the Cardiff inside centre winning the footrace by a nose to touch down and secure a half century for the hosts. Even at fifty points for the good, Cardiff showed no signs of letting up, with Gareth Ansell and Charlie Stonehill both crashing over either side of a stunning, yet sadly disallowed, team move. As the game entered its final minutes, another well-worked set piece move saw Rhodri Wall in for his second, and Cardiff’s tenth (10) of the night. However, despite the majority of their fans heading for the exit midway through the second half, there was to be something for those remaining in green to finally cheer about, as Swansea grabbed a well-deserved consolation try. After some sustained pressure on the fringe of the Cardiff 22, centre Andy Claypole burst through from the right, evading the outstretched arms of Williams to touch down by the posts. Playing nearly 80 minutes of high-intensity rugby is hard enough, let alone when you’re 10 tries down as part of an already depleted squad, and so, with all rivalries aside, it was nice to see Swansea rewarded for their perseverance. It was Cardiff, however, who had the final word, as replacement Huw Roberts became the beneficiary of a Swansea error to dive under the posts as the clock turned red.  What was, in the end, a truly emphatic victory for Cardiff capped a highly successful day for the university’s sports teams, and showed the true benefit of experience and understanding your teammates. Special credit must go to the visitors, therefore, who, whilst disadvantaged on this front, were nonetheless resilient in their play and gracious in defeat. 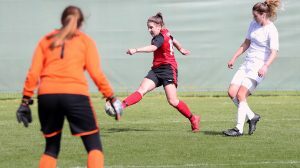 With their first team winning their play-off against Nottingham Trent, there was to be some joy for Swansea, as they became the third Welsh team to join next season’s BUCS Super League, setting up some mouth-watering local derbies in the process. Whilst Cardiff can rightfully bask in Varsity glory for now then, they will know all to well that they won’t have it so easy next season, especially when they return to the Liberty Stadium next April.